Placement on the 3:00 Plaza brings several new challenges, one of which is redoing the layout. The plot we were placed on is 200’ deep – twice as long as any previous year – but only 40’ wide. As a result, our layout has undergone quite a bit of revision to fit this new area. The upshot is that the tent area may be a bit less open than before, but we’ll have plenty of parking room in the back of the plot. We’ll also probably need to re-arrange the shade cloth pieces to cover the new longer structure. 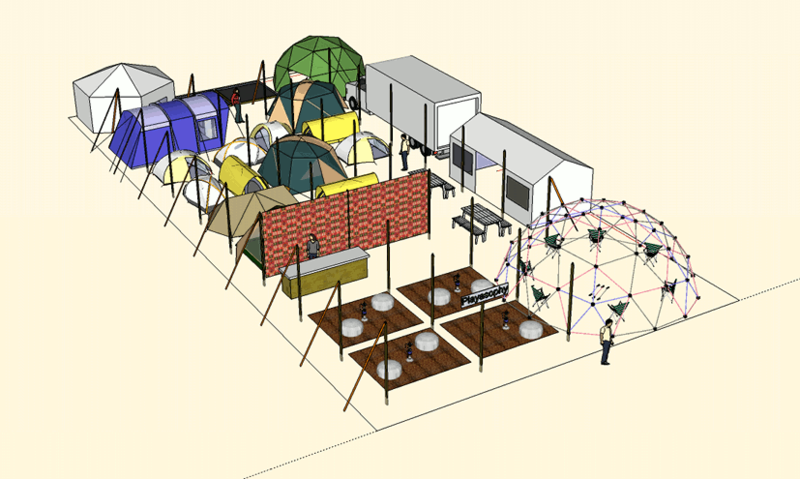 See the 2014 camp page for the full layout. Last week was a blur of excitement. Our humble camp will call the 3 o’clock plaza home for a very dusty week. 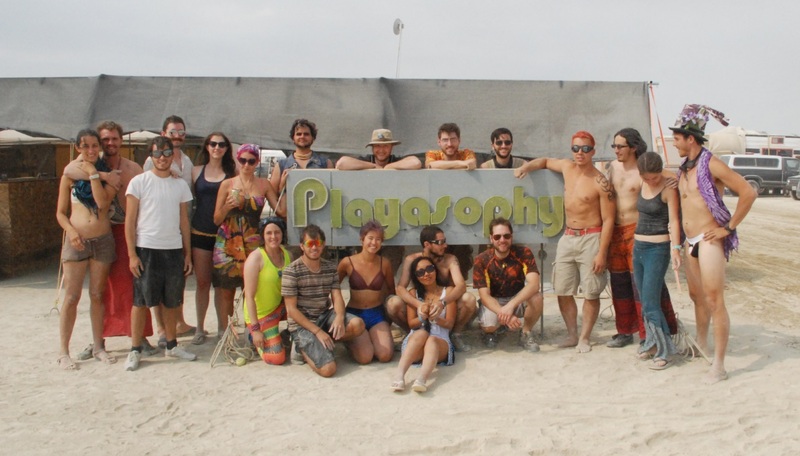 A major change from last year’s 4:00 and A address; we’ll all need to pitch in even more to give back to the Playa. However, with this news comes more responsibility and anxiety. Planning is still under way, and we’re getting closer and closer to a functioning camp every day. Holy smokes! How is it June already? With summer upon us, it’s time to really start planning what Playasophy is going to be like this year. We’re still waiting to hear back from the BMORG about placement (fingers crossed), but there’s still a lot that we can start working on to make this burn awesome. Unfortunately, the majority of Playasophy’s Seattle members are unable to attend Critical this year. We brought our safety dome, sound system, and full hookah setup back from the burn last September in hopes of making a name for ourselves at Critical, but there just won’t be enough people to organize and watch it. If anyone’s interested in trying to pull this together, let us know! Like everything else, Greg’s bringing the Wonderdome into Clojure to make it easier to visualize. He’s got a pretty cool working model of our large dome, and will start planning how to cut and organize the LED strips onto the triangles of the dome. It’s going to look pretty badass. On the coding side of this, let him know if you want to write a visualization mode. We only had about 10 different modes last year (including one blinding secret Konami mode…thanks Geeber), and would love to add more to our arsenal. I’m taking charge of the Hookah Lounge this year, and am currently planning this year’s version. We created a great framework last year, and I’m super excited to make it even better. This is going to be our main gift during the day, providing a chill space and ice coffee/hookah during open hours. There will probably be a lot of hookah lounges this year, what with the Caravansary theme, but I think our history will give us the edge. So let’s make us stand out of the crowd! One thing the camp has always been missing is a burn barrel. Hopefully this is the year it becomes a reality! We were offered a burn barrel at the end of the last burn from our neighbors, but declined as it really wasn’t our personality (think flowers and gypsies…). Know how to weld? We could use the knowledge! Our 2014 camp roster currently has ~20 people definitely going and 12 maybes; some with tickets-in-hand, some waiting on STEP, some waiting on trades. If you don’t think you’re accounted for, let us know ASAP! Got an extra ticket? We’ve got members who will take it off your hands for face value. And FYI, the Burner Express is already selling tickets if you’re looking to bus into the city. We had several members use the BE last year, all with positive experiences. Plus, you won’t have to worry about carpooling or gas! 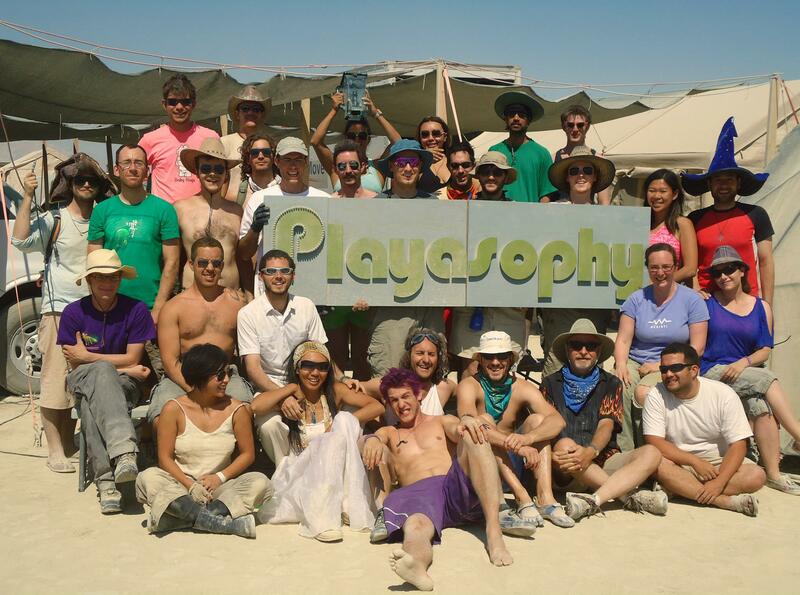 As always, you can email Playasophy at info@playasophy.org with any questions, comments, and suggestions. Check out photos from last year! Click through the links below and walk down memory lane with us. We had around 25 members camping with us by the end of the week, with a healthy mix of virgins and veterans. We had a small team of four members go in early to start setting up camp. They assembled several structures, and the rest of the members helped finish it up. 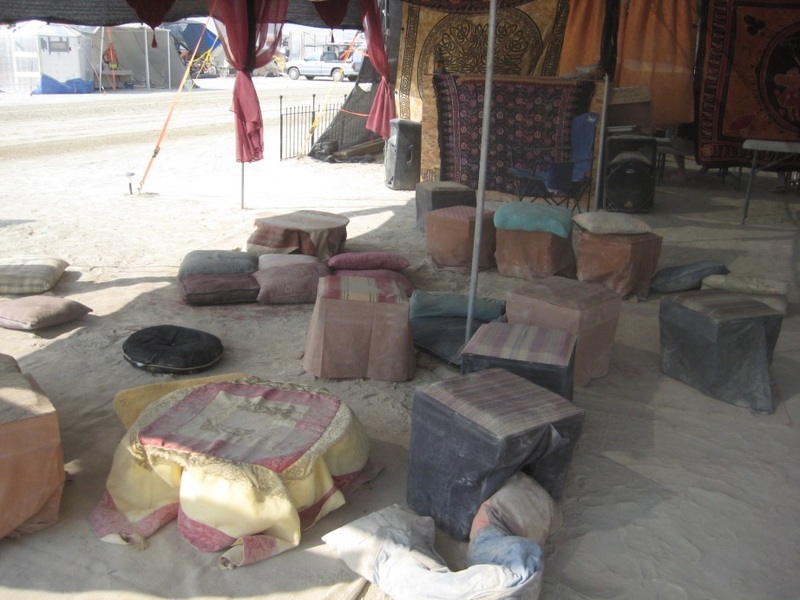 The camp layout consisted of a hookah lounge and large dome open to the public, as well as a private camp member area with a kitchen, small dome, yurt, and shower. Friday morning at the temple, we hosted a three couple wedding complete with high fives and champagne. 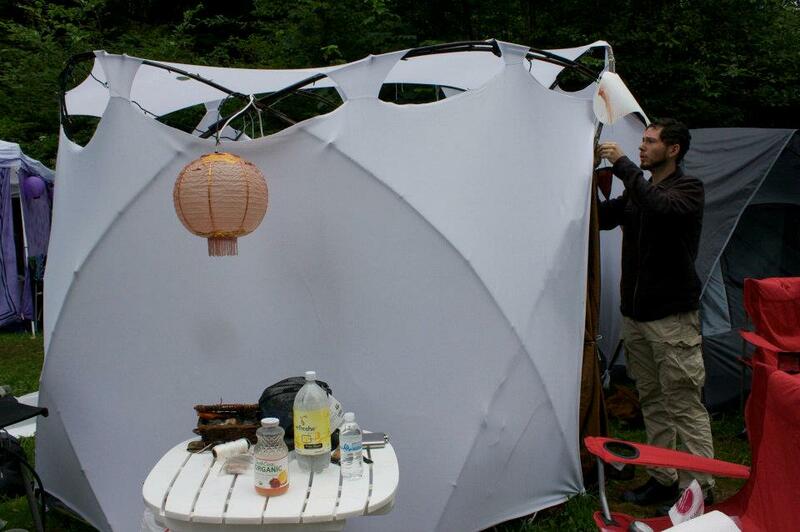 Previously, Playasophy’s shade has been provided by a disposable wooden structure. It consisted of grid of 2x4 planks strung together with rope and tensioned by ratchet straps. The main downside to it (other than having to buy new wood every year) is that each upright must be sunk 18” into the playa for stability. This is actually so effort intensive that it became a non-trivial portion of the physical labor involved in setting up the camp. The first year we tried it, we had a TERRIBLE post hole digger which made this even worse; last year we switched to an augur-style digger which considerably improved the situation. I’ve (finally) digitized and uploaded last year’s camp inventory. Turns out we have a lot of stuff! Click here to marvel at my real-world tetris skills. 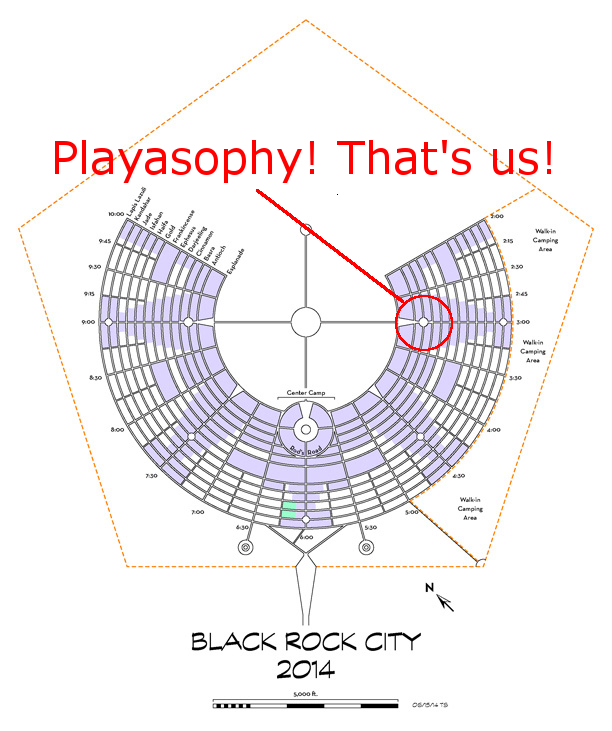 After some communication with our placer, we’ve determined our exact location in Black Rock City this year! Our prior layout didn’t take into account positioning, beyond assuming we’d be on an arc somewhere in that region of the city. We found out we’re not only going to be right on the corner, we’re actually on the man-wards side of it! This updated layout is revised to take advantage of those facts, as well as ensuring adequate shade from the sun. Based on the direction of the sunlight at our location, in the morning the sun will be streaming into the hookah lounge area but the divider will keep the tents in shade. As it grows later, the sun swings to the south. Some light will hit the outer lounge sections, but draped curtains will help provide shade. 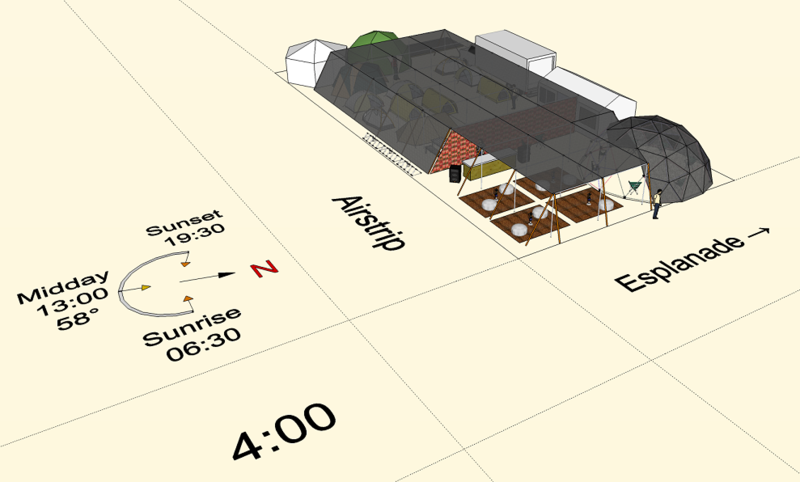 In the evening, the sun will start entering the back entrance to camp, but only a few tents should be affected. 30 short days until the Man burns! Good news everyone! Playasophy Camp will be placed this year at 4:00 & Airstrip facing onto the radial. This will be a great year for camp exposure, so now it’s really time to step up our civic offerings to match the location. The man burns in 50 days! Hello all! It’s rapidly becoming that special time of year again, when the reality of the approaching Burn settles into excited burners everywhere. Here at Playasophy, we’re working on pulling together another year as a placed camp. In a departure from our previous burns, we’ve moved away from long intellectual talks and towards more casual organic discussion centered around an Arabian-style hookah lounge. For more information about our plans, check out the 2013 page. The man burns in 56 days! Blog content, such as news posts like this one. 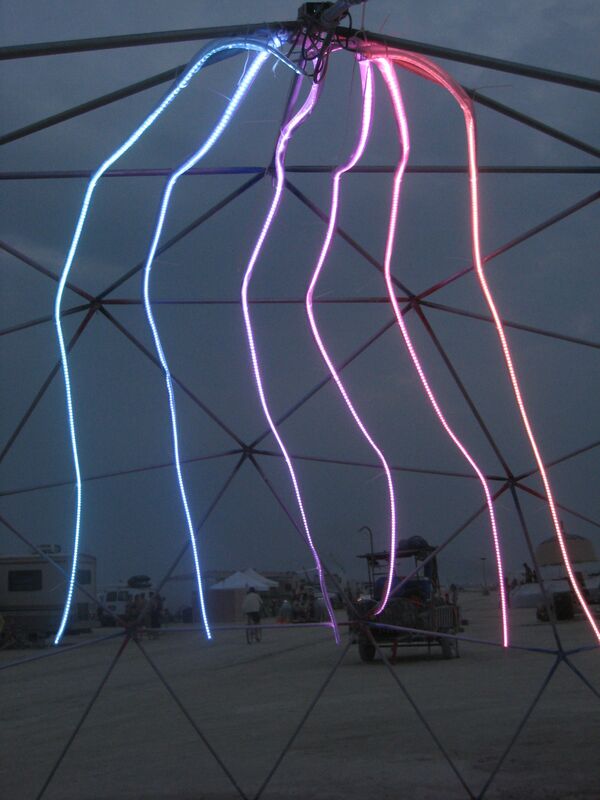 Details about each year the camp has been to Burning Man. Resources and other useful information, like packing lists. Information about the camp, such as the charter and how to register for next year.